Tuesday January 1st, 2013 S. G.
The origins of the famous white horses can be found with the Berber people of North Africa. 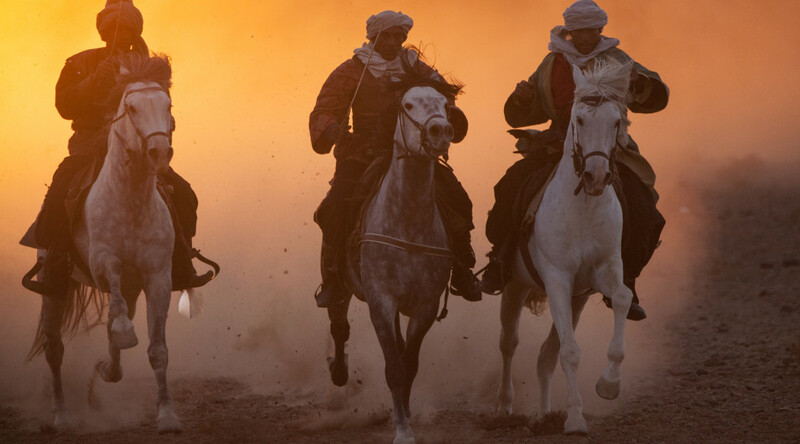 Legendary riders, the Berbers tamed these proud animals long before they became an embodiment of Austrian culture. Styrian filmmaker and ‘Romy’ winner Michael Schlamberger has set a cinematic monument to the Lipizzaner horses. Produced by SATEL and Science Vision, the film team meticulously traced the horses’ historical steps, leading them as far as Morocco, Andalusia, and Slovenia, but also to the Federal Stud Piber, the Heldenberg in Lower Austria and the Spanish Riding School in Vienna. At the Cannes Corporate Media & TV Awards in October 2013 the film was awarded the Silver Dolphin in the category ‘History and Civilization’.